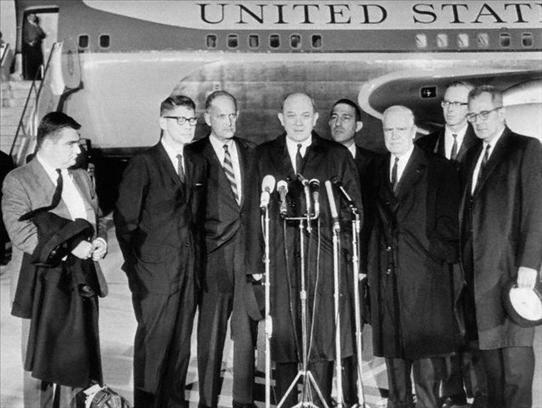 When President John F. Kennedy was assassinated in Dallas, Texas, on November 22, 1963, six members of his Cabinet plus his press secretary were out of the country, together on an airplane en route to Tokyo, Japan. 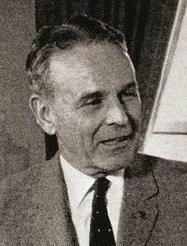 Some JFK conspiracy theorists have seen this group absence of key government officials from Washington during the assassination as more than a coincidence. While there is persuasive evidence that there was a conspiracy and cover-up in the JFK assassination, should the Tokyo flight be considered part of that evidence? Let's examine the facts. 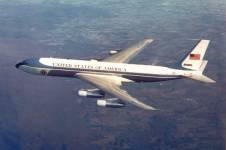 The Boeing 707 used for the Tokyo trip was Aircraft 86972, one of the presidential jets. Each of these planes had a White House code book for radio transmissions to and from Crown (the code name for the White House). 6 The news that JFK had been shot in Dallas, perhaps fatally, reached Aircraft 86972 not by radio but by teletype. 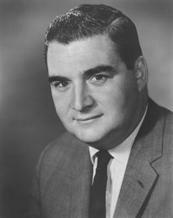 Before ordering the airplane to turn back for Hawaii, Rusk asked Salinger to get verification of the report from the White House. The radio operator in the communications shack put Salinger through to the White House Situation Room, and Salinger, using his code name Wayside, asked the Situation Room for all information on the President. 7 Wayside was told what little the White House knew, and was kept informed on the open line till it was official that JFK was dead. And that was the extent of the missing code book crisis. The code book should not have been missing, but its absence, which proved to be of no real consequence, does not by itself mean something sinister. Still, Rusk's concern over Stranger illustrates the fact that conspirators would certainly have been able to take advantage of there being no code book on board under a worst-case scenario. Rusk and Defense Secretary McNamara attended a conference on Vietnam, with military officers and other officials, in Honolulu on November 20-21. The purpose of the meeting was to review the situation after the assassination of South Vietnam's President Diem earlier that month. 9 The conference date and location were chosen to dovetail with Rusk's scheduled trip to Japan. 10 But in his book Colonel Prouty asks with suspicion why all those Cabinet members who would be on the Tokyo flight had to attend the Honolulu Conference. Calling it "one of the strangest scenarios in recent history," Prouty asks "Why was the cabinet in Hawaii? Who ordered the cabinet members there?" 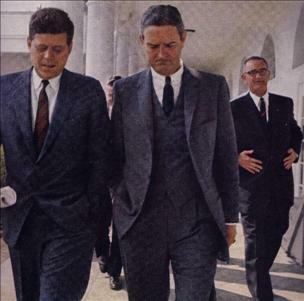 In his book Prouty calls the Cabinet members' trip to Japan "unprecedented," and says, "No one has explained why the Kennedy cabinet was ordered to Japan at that time." 13 But in fact the explanation can be readily found in the official records of the JFK administration. Vince Palamara, citing Secret Service agent Bob Lilley, has stated that JFK's press secretary Salinger was "extremely knowledgeable" about proper motorcade planning and security concerns, and that Salinger normally made such trips as the one to Texas. Palamara sees Salinger being sent to Tokyo as part of "a deliberate yet informal plan" to keep certain Secret Service agents and other personnel away from Dallas. 21 But that doesn't seem to mesh with Salinger's own explanation for the Tokyo trip: "While my announced role was to act as one of the spokesmen for the delegation, the President had asked me to make some first soundings for a possible trip to Japan he had envisaged for early in 1964." 22 It would seem, then, that the decision to send Salinger to Japan was JFK's. But why would JFK have his press secretary attend the Honolulu Conference on Vietnam? That by itself was enough to keep Salinger out of the Texas trip, his place taken by Malcolm Kilduff. According to John Newman in his book JFK and Vietnam, JFK sent Salinger to the Honolulu Conference "in anticipation of a possible public statement that would follow the Honolulu recommendations and subsequent presidential decisions." 23 But Salinger would be heading for Japan before any announced recommendations and decisions stemming from the Honolulu Conference could possibly be anticipated. Did some military or other conferee nonetheless use the pretext of a possible public statement to suggest that Salinger be at the conference? Newman reports that there was indeed a public statement after the conference, describing it as "more of a discussion than an arrival at a full set of finished decisions," but that the conference produced "the raw material for recommendations" to be made to the President. This announcement was made on November 21 by Robert Manning, Dean Rusk's public affairs chief. 24 Why wasn't it made by the White House press secretary if that is what he was there for? When the Honolulu Conference was announced, had the decision for Salinger to go to Japan already been made, so that he was already out of the picture for JFK's Texas trip? Or, was Salinger's going to Japan an afterthought to having him attend the Honolulu Conference, in which case it was the conference (and whoever suggested that Salinger attend) that conveniently put him out of the Texas picture? After 43 years, perhaps only Salinger, who died on October 16, 2004, could have answered these questions. A slightly different story is told in a biography of General Taylor by his son. After Taylor was buzzed by the command center, according to this account, Taylor buzzed McNamara, "calling him out of a conference on the budget" to inform him of the shooting. 26 No mention of McNamara first being handed a news dispatch. In sum, the Secretary of Defense, by his own account, did not know that JFK had been shot till about half an hour after the fact (at which time he took no action whatsoever), and was not informed that the President was dead until about 45 minutes later. In neither instance did the information come from any Defense Department official inside or outside of the Pentagon, nor from any alleged copy of a news dispatch. The belated news came solely from outside calls from the President's brother. Who knows when McNamara might have learned what had happened that day in Dallas if Bobby Kennedy, who was at home in Hickory Hill, Virginia, hadn't eventually called him? There is a legitimate choice here between coincidence and conspiracy. 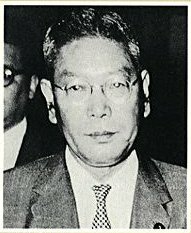 One can choose to believe that the Tokyo flight occurred on the same day as the assassination by pure coincidence, as the Joint ECONCOM meetings were always held late in the year. If one chooses coincidence, one must also assume that there was nothing suspicious about the White House code book missing from Aircraft 86972, that the missing code book was also a coincidence. If one chooses conspiracy, one necessarily believes that the specific date scheduled for the Tokyo flight led to the specific scheduled date for the visit to Dallas, or that the specific date set for the latter led to the specific date set for the former. There is nothing to preclude either possibility. We know that the Texas trip was scheduled for November 21 and 22 by late September, 1963, to include a motorcade in Dallas on November 22. We know that Monday, November 25, the date set for the first day of the Joint ECONCOM meeting in Japan, made Friday, November 22, a logical date for the Cabinet's departure, giving Rusk and the others a weekend in Japan to prepare and to recover from jet lag. We don't know when the exact Japan meeting date was set, but certainly it could have been set in late September, when the final Texas date was announced, or even later. Why would the Tokyo flight be of importance to conspirators? As suggested by the White House code book missing from the plane, it would be important in a worst-case scenario. The only reason to arrange for almost the entire Cabinet to be out of the country at the time of the assassination, and hampered in communicating with the White House, would be to facilitate a coup d'etat, a takeover of the government in Washington, should such an overt act prove necessary depending on the outcome of events in Dallas. One doesn't need argumentative Cabinet officials around when usurping the powers of state. This would also explain why the Pentagon did not inform its own boss, the Secretary of Defense, that the President had been assassinated. If one chooses to believe in conspiracy, it means that one also has a pretty good idea of who killed JFK. One can eliminate the Mafia, for example, or Castro, or anti-Castro Cubans, or right-wing oil men, as being behind the assassination. None of those suspects had the power to set the date of a presidential visit to Texas, nor the date of a Cabinet flight to Japan. If the convergence in time of the Tokyo flight and the shooting in Dallas was not a coincidence, it follows that the JFK assassination was an inside job. 1. J. Gary Shaw, with Larry R. Harris, Cover-Up, 2d ed. (Austin, TX: Collector's Editions, 1992), p. 199. 2. William Manchester, The Death of a President (New York: Harper & Row, 1967), p. 89. 3. Shaw, p. 199; Robert J. Groden and Harrison Edward Livingstone, High Treason (New York: Berkley Books, 1990), p. 20. 4. L. Fletcher Prouty, JFK: The CIA, Vietnam, and the Plot to Assassinate John F. Kennedy (New York: Birch Lane Press, 1992), p. 284. 5. Vince Palamara, "Breakdown 'Full Disclosure' - Chapter 3" (http://spot.acorn.net/jfkplace/03/VP/10-VP.html); Vince Palamara and Howard Platzman, "Debate Regarding Secret Service Complicity & Negligence in JFK's Murder" (http://jfkassassination.net/parnell/vp3.htm). 6. Pierre Salinger, With Kennedy (1966), p. 5; "Transcript--Radio Traffic, November 22, 1963, Air Force-1 and Plane Carrying US Cabinet" (http://www.geocities.com/jfkinfo3/reports/af1trans.htm). 7. Salinger, p. 7; "Transcript." 9. JFK news conference, November 14, 1963. On the Honolulu Conference, see John M. Newman, JFK and Vietnam (New York: Warner Books, 1992) pp. 415-437. 11. Prouty, pp. 278, 281. 15. JFK news conference, November 8, 1961. 16. U.S. Department of State, "Foreign Relations of the United States, 1961-1963, Volume XXII: China, Korea, Japan: Documents 358-385." 17. Gary Mack, April 12, 2004 e-mail; "50 Years of NHK Television." 18. U.S. Dept. of State, "Foreign Relations." 19. Affidavit of Clifton C. Carter, May 20, 1964, Warren Commission 7:475; John B. Connally, HSCA testimony, September 6, 1978, 1:11-60. 26. John M. Taylor, An American Soldier: The Wars of General Maxwell Taylor (Novato, CA: Presidio Press, 1989), p. 289. 27. 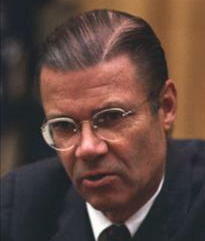 Robert S. McNamara, In Retrospect: The Tragedy and Lessons of Vietnam (New York: Times Books, 1995), p. 90.